The teams began arriving around 10:30AM, were fed lunch, team pics were taken, and soon, the tournament was underway. Numerous volunteers from the community assist with these endeavors - their assistance is priceless and greatly appreciated. 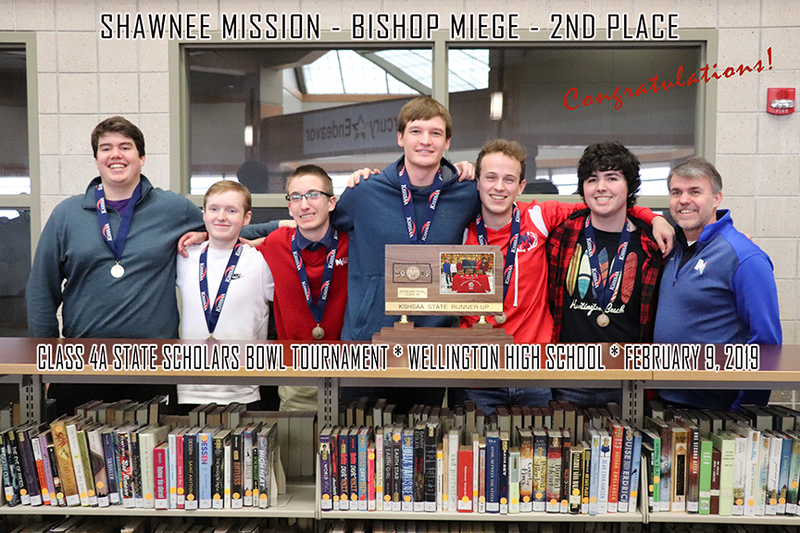 The WHS Scholars Bowl Team, coached by Sarah House, hosted the tournament, not the first State tournament held here at Wellington. Congratulations again to Topeka Hayden! We hope everyone's visit to Wellington was pleasurable.